House-sitting is growing global trend, attractive today because it offers home and pet care solutions, and affordable travel options. Securing the services of a reliable and trustworthy house-sitter decreases the risk of theft, ask any insurance company or broker. HouseSit Match is a housesitting and petsitting social network dedicated to house-sitters, home and pet owners. We offer peer-to-peer networking options for affordable travel and home care. This is how our users benefit and interact. The HouseSit Match network was created to offer a safe and secure environment for homeowners and house-sitters to meet online, in order to make their house sitting arrangements. We now offer an exciting and rewarding HouseSitMatch Affiliate Marketing Programme as a thank you to our active members. House-sitters – offer their services as responsible, experienced and sometime professional house and pet-sitters in exchange for free accommodation for the duration of the house-sit assignment. Homeowners – offer free accommodation in exchange for having responsible and experienced people care for their property or pets during their absence from home. 1 – Register on the HousesitMatch affiliate marketing program Page below. 2 – You are automatically given an Affiliate Coupon Code and Unique Affiliate Link. 3 – When registrants use your code you are credited with the sale and gain a % share of the sale value. The registrant will also get a discount on the purchase, so everyone wins. As a result of joining and actively marketing the HousesitMatch affiliate network you could earn up to 50% of each subscription you secure! Consequently, if you secure enough registrations / renewals you will earn a Featured position on the Homepage as either a Premium sitter or owner. Quarterly payments of funds earned, from the date you join the programme. When You Hit the Next Threshold, you can also receive your payment. Count how much they spent against your affiliate code! We believe this is a collaborative way to drive our network, and we hope it will encourage you join our Affiliate Rewards Programme and by helping to support the growth of our network you earn real funds through our Cashback scheme. Promote your special affiliate links using the advertising materials (Display advertising, banner advertising, text and email copy below) and start sending prospects from your web site using the following materials. Step 1 – Start sending prospects from your web site using your unique affiliate links (you will receive these on registration). Register in the form below to secure your own Affiliate ID and links. Remember to use these links in all your affiliate promotions, that way the system will know how to pay you. Regularly check the links to ensure they work and are not broken. You can use any of our resources on the site (once registered you will have access to the creative library) to promote HouseSit Match. Please remember that your own text based recommendation are more effective than banner ads. Especially relevant below there are some text ads, suggested feature articles (to give you content ideas). In the Affiliate Marketing creative library you will find a selection of display and banner ads to use. It really helps to add your own personal touch. You can also use our Logo. Add content to your web site, blog or newsletters with articles. We offer some of our own published articles for inspiration and research, however, please remember your content be original online, or you will be penalised by Google. NB – With all our resources – remember to substitute your HousesitMatch affiliate link in the resource box. For more content research and article ideas review the articles and blogs published and referenced in our Press page and Blog. Our logo is increasingly visible across the internet. Right click to save a copy to your hard drive for upload to your web site. Or download a high resolution image of the logo from our Press page. Remember to add the HousesitMatch affiliate link. Text links have been found to be more effective than display or banner ads. Add the text below the logo and link to your unique Affiliate link. Step 3 – Use our Blogs and Articles from the Press centre page as Reference for your Original Content. Your articles must be original in structure and content, however, it is always useful to do some research and find out about other house-sitter and homeowner experiences. Try to create rich and relevant content, full of the key search terms like: house-sitter, house-sitting, pet-sitter, pet-sitting, house care, house carer, home-sitting – no doubt you can think about the many terms we use every day to describe what we do. Using your own rich content will be very attractive to the search engines and that will help us all to benefit. Once you have written your content you can submit your blogs and articles to online magazines and newspapers, ask for guest blog posts and so on. Step 4 – Write and Submit a Feature Article about House-Sitting for Publication – Don’t forget to Using your Affiliate Links. 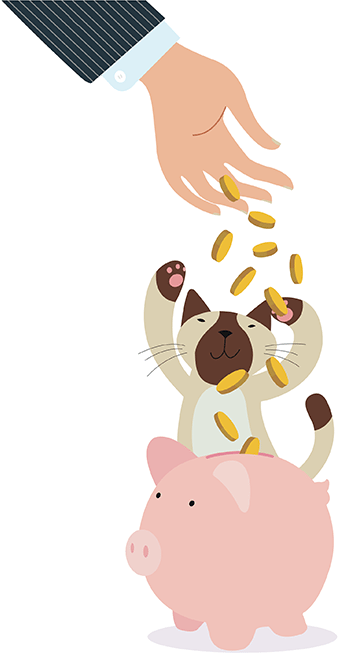 The London Economic – Plans to Escape London or entrenched in Pet Sitting Arrangements? You can receive rent free accommodation for keeping homes nd pets secure while the owners are away. This is a real opportunity, and it is more than just an opportunity. Thousands of homeowners are looking for responsible people world-wide to help protect their homes while they are absent. Could you help? Please remember when you register as an Affiliate with HouseSitMatch you will receive two requests to opt-in to our special affiliate news emails. Please remember to double opt-in, to ensure you get notification of our creative updates and handy blog articles. Thank you! Finally, use any or all of the display advertisements from our affiliate marketing creative library, on your website linked with your tailored affiliate link. Join us today and start earning your Affiliate Rewards! Sign me up for the affiliate newsletter!